Here you'll find all the different Code Lyoko DVDs, released throughout the world, as well as various CDs containing bonus videos. Each section below retraces a little history of the release of Code Lyoko episodes on DVD in the different languages of the world. By clicking on an image, you'll access the page with the detailed presentation of DVD releases, images of their jackets and menu screens...as well as a complete description of the different bonus features they contain: bonus features you can find the majority of on our site! 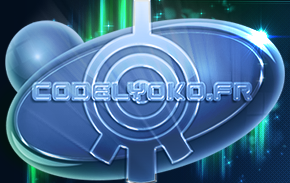 [French DVDs] At the end of season 1, Antefilms started to publish the first Code Lyoko DVDs. Well endowed with bonus features, they only contained, however, 4 episodes on each DVD, and were out of order. Each of these DVDs also had a holographic card inside with Ulrich's face on it, and stickers which, once held under the holographic cards, revealed a number of points, which you could use to battle other collectors of these stickers, like you can see here. Production of these DVDs led to a box set containing the two DVDs before opting for a new strategy for release. So it wasn't until season 3 made it to our screens that Moonscoop started to publish the DVDs in thinpack sets with more episodes and at a much lower price. No more bonus features on the DVDs, but containing codes that could be used on the site CodeLyoko.com. A few days before the release of season 4 on France 3, season 3 was on sale, with a notable error: the absence of the Prequel, despite being indicated on the DVD jacket. Finally, 3 months after the end of season 4 in France, they started to release the episodes of season 4 on DVD (with the Prequel included), then the complete season 1 for the first time, and this despite a failure in launching a complete season 1 set in volumes containing more bonus features. 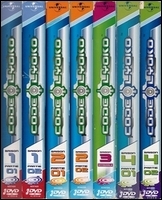 [English DVDs] In the USA, DVD releases were taken care of by Funimation, who around the start of season 2 started releasing DVDs containing 5 episodes of season 1 (out of order) as well as an English transcription of French bonus features and, in addition, a few elements on season 2, such as a description of Sector 5. But just like in France, these DVDs didn't have much success. Indeed, the quality of these DVDs was quite mediocre. So lack of sales led the complete season 1 set to be released quickly, comprised of 26 episodes and the same bonus features as on the first DVDs. The company still tried to release the 2nd season: 5 episodes on one DVD without bonus features. But once again, the huge gaps in the conversions made this DVD very difficult to buy. It wasn't until 2011 that Amazon, who acquired a digital version of the episodes, released a complete set for each season on DVD without any bonus features at an attractive price, as well as a complete series box set, available for a few years. Amazon no longer publishes these DVDs. [DVD from other countries] This page groups together a list of different DVDs of the series released around the world, without going into detail. Nevertheless, it also allows you to find more information on a bonus DVD exclusively released in Spain during the boom the series experienced in the Hispanic peninsula: an exclusive DVD containing trailers and episodes of a related series released in Spain. [Bonus CDs] Among the related products sold during the season 2 era were the collectable figurines released in several countries. A CD-ROM was included with these figurines. These bonus CD-ROMs (different for each figurine) contained, among other things, screensavers, and information on the character. 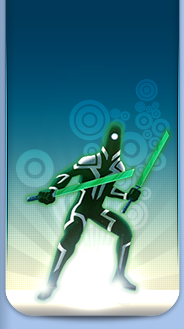 Plus, among the bonus features were brand new sequences created for the occasion, showing training sessions for the heroes on Lyoko as well as an OverVehicle race between Odd and Ulrich. It's worth noting that the English DVDs differed in that they also contained one episode from the series as well as a video description of the character.